Another example could be in delivery business, where it may be important to know which orders were delayed during Friday's rush hour, and at which locations. Or when considering branch network optimization and expansion, you will want to know how branches in a specific area have been performing since they were renovated. Did the turnover increase after opening new branch on street A in city B? Has there been any impact on internal competition between existing branches and the new one that just opened up? Every data model has dates and therefore it's an important data point to know when you are aggregating and comparing data. 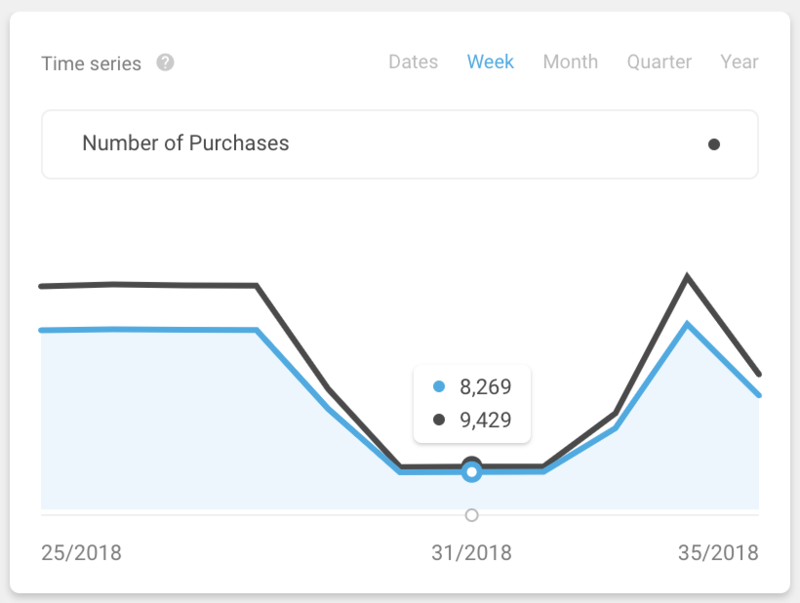 That's why we are excited to show you how you can work with dates inside CleverAnalytics! In any view you can set up date parameters, filter data by date, or to see the changes of any indicator during range of dates. Read more in Help center. 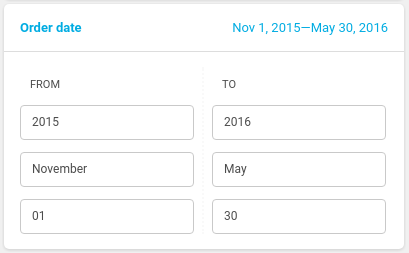 Global date lets you set up the range of dates that you want to see inside the view. It affects all indicators on the infopanel. You can set up start- and end-dates by increments of days, weeks, months, quarters, or years. The global date enables you to switch from absolute to relative date ranges (e.g. last 7 days, past week) directly in the views without the need to enter new parameters. Find out more about relative dates in DevDoc. Indicator drills enable you to display block time series that helps you to track the progress of the chosen indicator thorugh time. It is also possible to display an additional line within the time series of dates that can help you explore if the desired value has been reached. It can also compare the current indicator values to the average. Find out more about additional time series in DevDoc. Inside global date you can set it up to show only customers who registered into your loyalty program in March. In date filter you can set it up so you see only the customers who signed up in March and made an order during last week of March. Find out more about date filters in DevDoc. At CleverAnalytics we support more date dimensions in the data model and those can be imported directly into your project. Check out the date dimensions and other data dimensions provided be CleverAnalytics in DevDoc. You can easily recognize where do the data come from without leaving the view and searching in the data model. This feature is available inside Global date, Granularity, and Filters. For further details refer to our Help center.